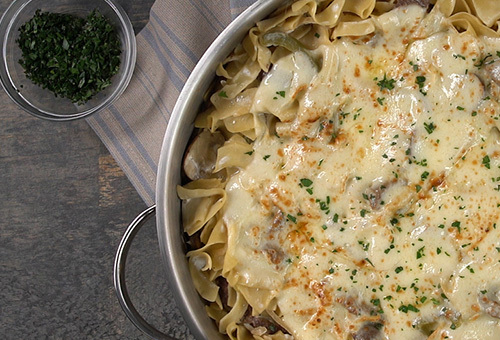 Creamy with a kick of spice, this casserole is perfect for an easy, yet flavorful dish. 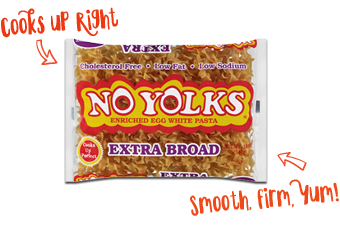 No Yolks® noodles always cook up right making it a slam dunk every time! 1. Heat skillet over medium heat. Cook bacon for 8 to 10 minutes, or until golden brown. Add garlic and cook for another minute, or until tender. Transfer to paper towel-lined plate. 2. Meanwhile, cook noodles in boiling salted water for 6 minutes or until al dente. Drain and set aside. 3. Place pot back on stove over medium heat. Add salsa, broth, cream cheese, mustard, salt and pepper. Cook, stirring until smooth. 4. 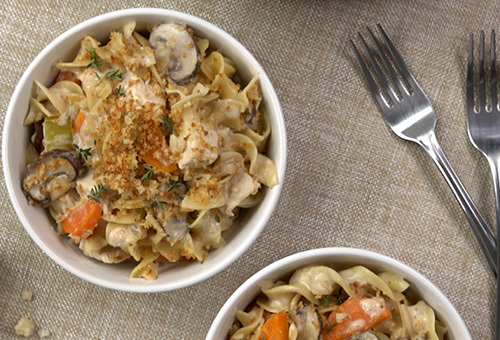 Stir in chicken, bacon, garlic and cooked noodles. Cook, stirring for 5 minutes or until warmed through. Stir in 1 1/2 cups cheese. Cook for 1 minute or until cheese starts to melt. 5. Transfer to greased 9 x 13-inch baking dish. 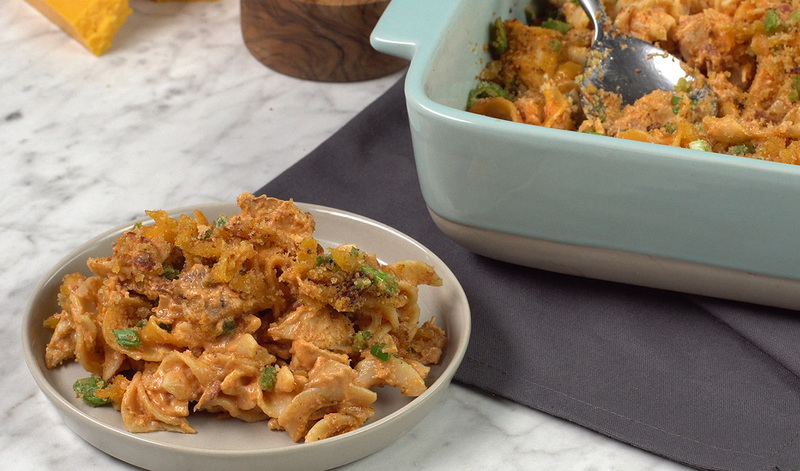 Toss breadcrumbs with oil, remaining cheese, green onion and jalapeño. Sprinkle over noodle mixture. 6. 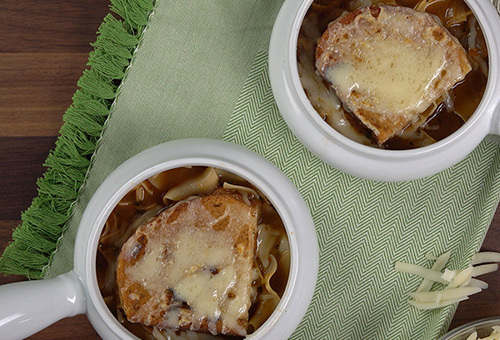 Broil for 2 minutes or until cheese is melted and bread crumbs are golden brown.